I made this pâté with some of the duck meat and livers from the six ducks Zoe and I broke down. If you mix that with some pork and season it well, you get a pâté similar to this one. I plan to make more. I'd like to thank Jennifer and her hubby, David for helping me taste test this one. I'll post the recipe on this blog when I have a moment. Organic glider breakdown (on the way to duck confit). Elaine is an excellent teacher. Steps are discussed with each picture. Making confit takes two days; this is day one. Well, this took maybe 2 hours once we got to addressing the birds, but what's the point of doing this if you're not going to preface it with catching up on each other's lives while eating shrimp and drinking whiskey? First, the ducks. And some bowls, cutting boards, knives. And whiskey, naturally. Each duck is broken down into meat parts (legs, wings, breasts), skin (from the neck, back, and pope's nose), and carcasses. Hearts, livers, and kidneys are in the bags. Here we've broken down four birds with two to go. Six gliders are now in parts. Skin is cut into smaller strips in dutch oven, add a little water, place in 350deg oven for a few hours until clear fat is rendered but skin is not crispy. Elaine will have pics of this, I think. Cut up breasts, legs, and wings from six ducks are each coated in salt and left to sit overnight. Technique is the same as breading a piece of meat or fish: pile up some coarse salt on a plate then coat the meat in salt. Coated pieces are placed together in a container. Salt will pull out moisture and begin to cure the meat. The next step will be to poach the meat in the rendered duck fat before sealing it. Carcasses covered in water in a stock pot. For stock, naturally. As we did not brown the bones before this step, the stock will be light colored. Last week ducks were on sale so I bought six. I told the group what I'd done in hopes that others would put up confit too. Instead, Zoe offered to come over to help me. She made me an offer I couldn't refuse: whiskey. Zoe will make the full report from this evening. But we broke down and salted six ducks. Right now I'm rendering duck fat from the skin and boiling carcasses for stock. Thank God for the drop in temperature and the rye whiskey. Some of you have been wondering how to make duck confit. 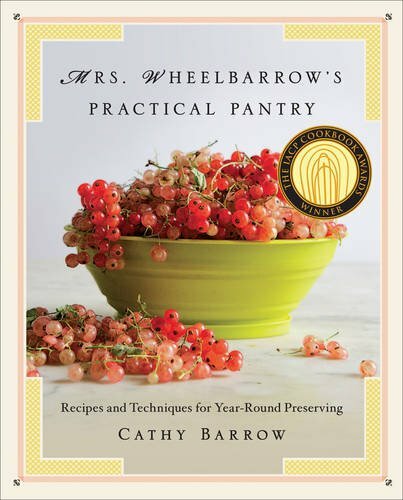 Mrs Wheelbarrow's Practical Pantry, written by our very own Cathy Barrow, has great directions for not just duck confit but billions of other delicious preserved foods. I'm burning the candle at both ends here in Italy. Hope you guys are getting some rest while the beans grow. All rights to the text and visual content on this website are reserved by the authors of this site. It's not cool to use any of it without asking permission. ©Elaine Tin Nyo et al. This project was inspired by a love of the traditional French dish, cassoulet.